Everything was better then expected between the purchasing, customer service for updates and the tree itself! Thank you!! I will buy again here!! Ponderosa Pine, also known as Pinus ponderosa, Bull Pine, Blackjack Pine, or Western Yellow Pine is a solid pine of variable surroundings. It is native to the western US and Canada. It is the most broadly developing pine in North America. This tree can be found from British Columbia to 16 states South of there. It is the official state tree of Montana and was initially founded in 1826 in Washington when David Douglas misidentified it as the Red Pine. In 1829, he renamed it the Ponderosa Pine because of its overwhelming timber. Ponderosa Pine Trees thrive when they are planted in moist soils that are well drained but can also grow in dry soil conditions. These trees have large trunks and long limbs and need lots of room to branch out and expand to become healthy. This tree is fantastic and adds lovely color and remains green throughout the entire year. This tree is also great to bring all types of small wildlife such as squirrels to an area and also brings a variety of birds. 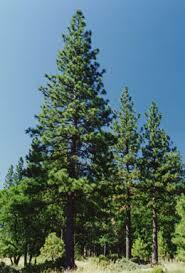 The trees are thick, and the birds love to construct their nest in them for protection.The ponderosa pine is an abundant species of pine that is sometimes called the bull pine or blackjack pine. Ponderosa Pine Tree has a massive wood and distinctive bark appearance. Mature pines have bark colors between yellow and orange-red. The bark is formed as large plates with dark crevices. Young ponderosa pines have a black to brown colored bark. There are several subspecies of ponderosa pine, and they can be identified primarily by their needles. 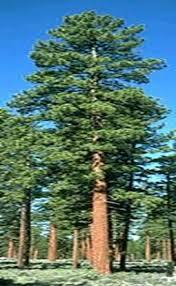 The scent of a ponderosa pine is usually described as oil, which is due to dominant terpenes. Ponderosa pines can get quite large at well over 200 feet. It is the second tallest pine. Though they occur naturally in the wild, they can easily be used in gardens and parks.